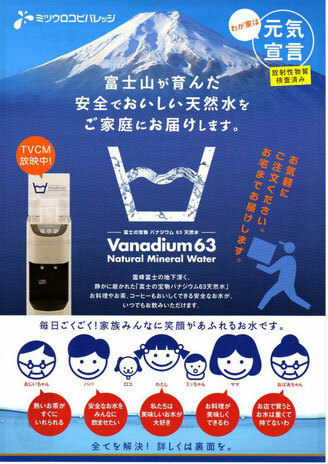 ALBERO launched sales and promotion for Messrs. Mitsuuroko Beverage's 'Vanadium63 Natural Water'. Please feel free to call us if you have got interested in natural water convenient to stock in your house and office. Click here 'shop ALBERO' for details.